Imagine a place... where affordability and accessibility meet. A center for golf, nature trails and wine tasting, yet just 20 minutes from an international airport. One of Canada’s fastest growing communities, with 100’s of new jobs and businesses opening up every year. A bustling, yet friendly university town, welcoming on average, a new family of four every single day... That’s Chilliwack. Elliot by Redekop | Faye - A distinctive addition to one of Canada’s fastest growing metropolitan areas. A contemporary facade complemented by lush manicured grounds, perfectly complement the Elliot’s greenbelt setting. 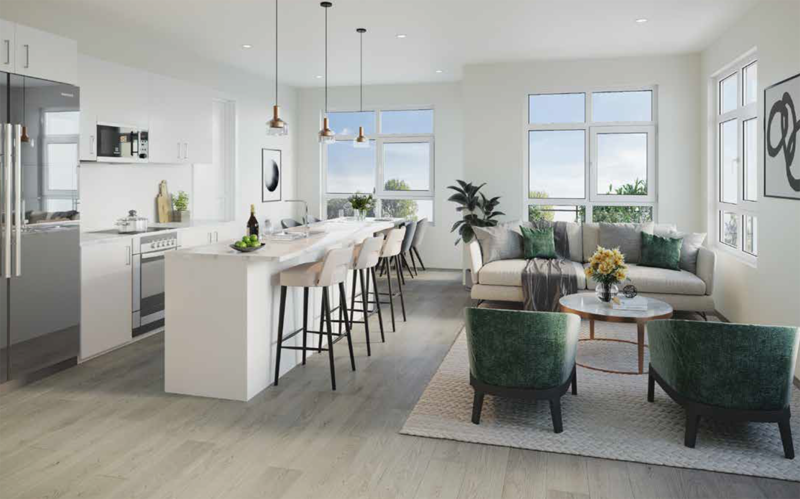 Oversize patios, granite counters, stainless steel appliances and gorgeous laminate flooring all come standard in these well appointed suites.